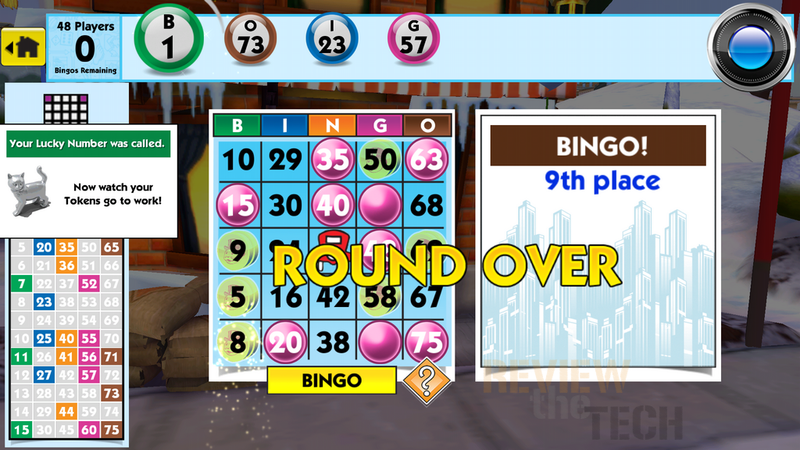 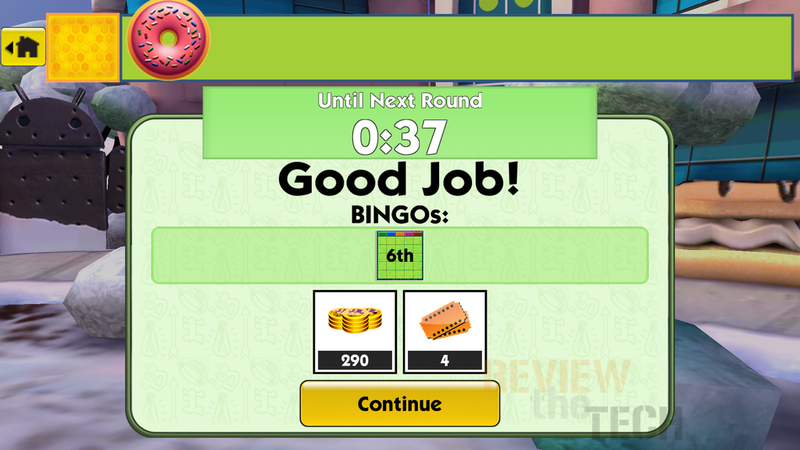 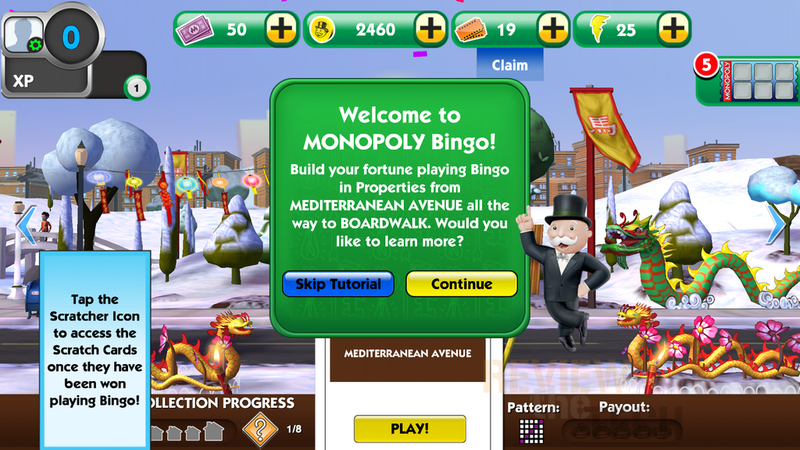 The beloved world of MONOPOLY meets the friendly, addictive fun of bingo! 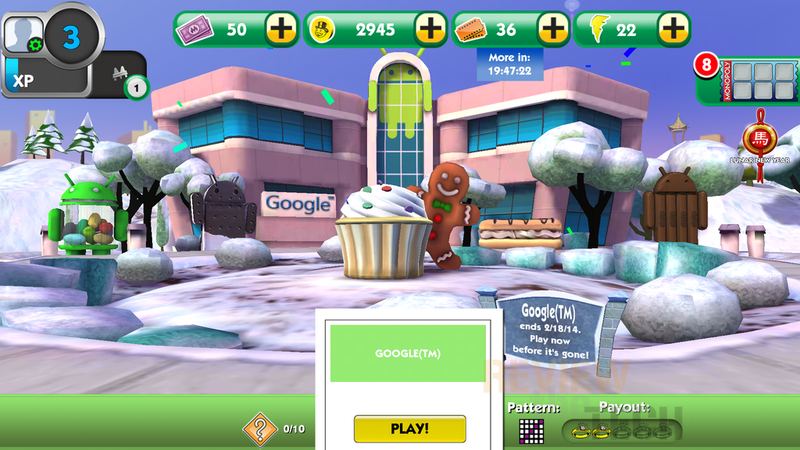 Take a walk around the MONOPOLY neighborhood, visit themed rooms, and put the “GO” in bingo with collectable tokens and more. 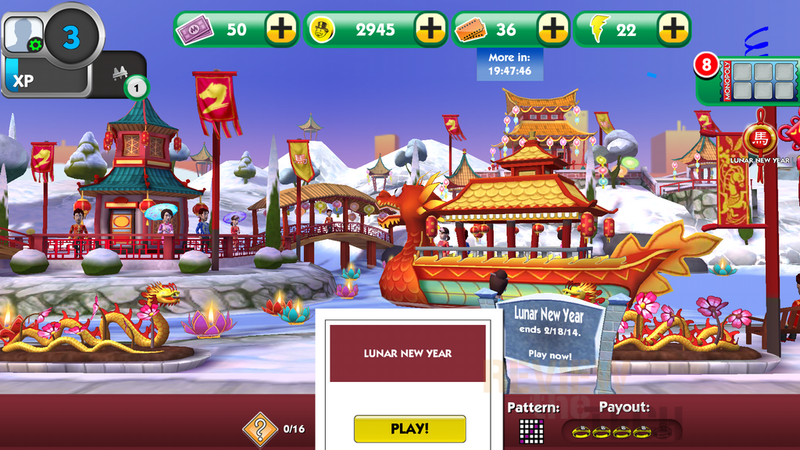 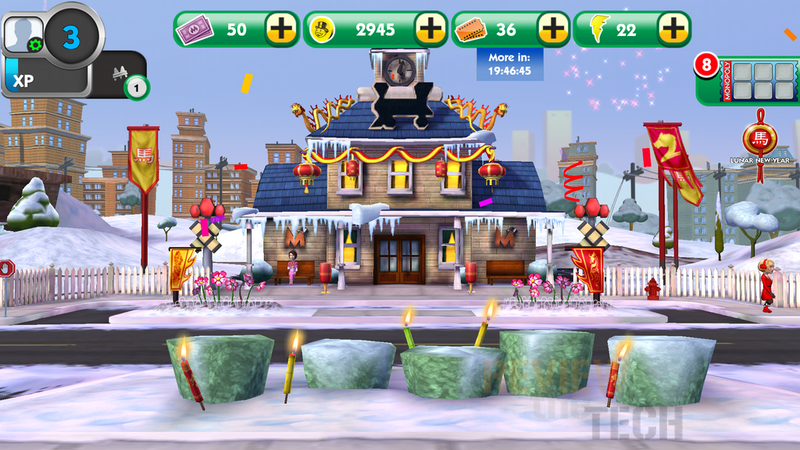 Check out our new, limited edition Lunar New Year property. 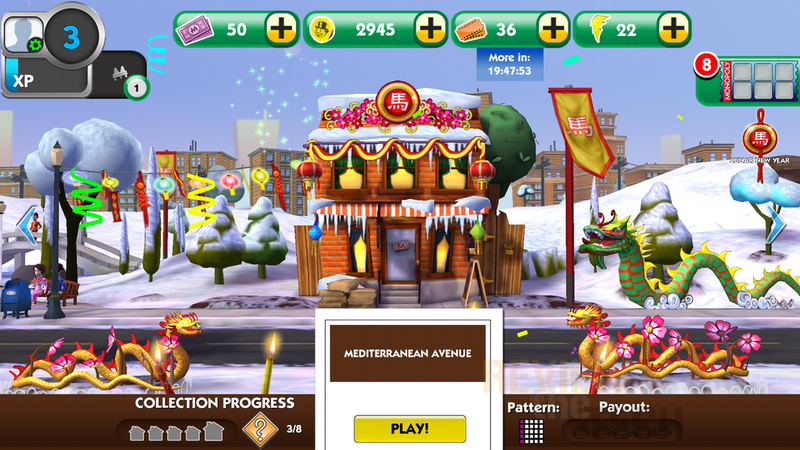 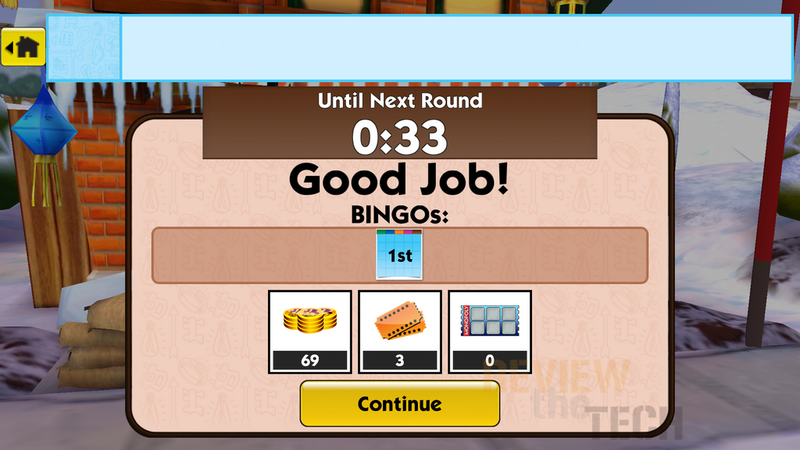 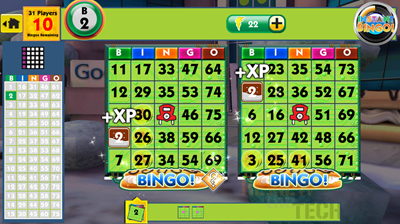 Bingo to win all of the collectibles and unlock the new Horse token in celebration of the Year of the Horse! 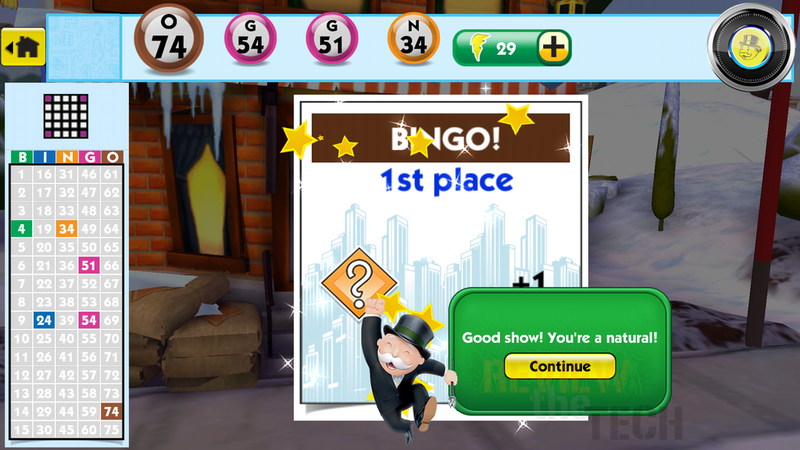 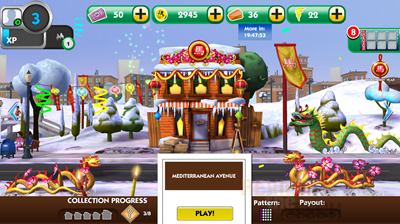 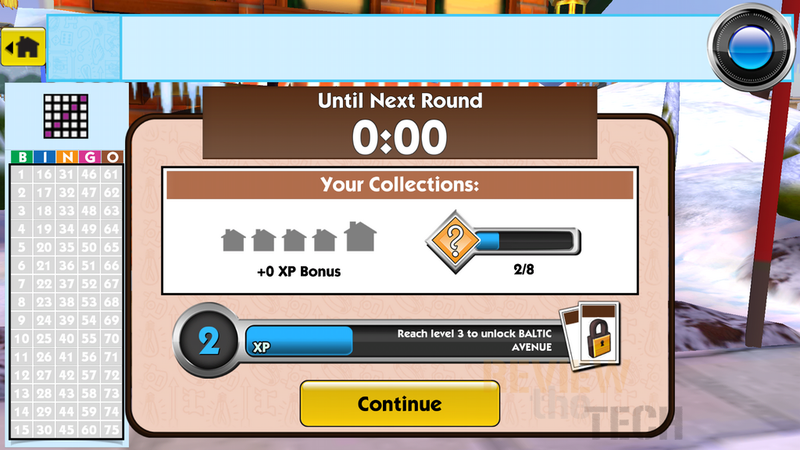 Skip down the streets of the MONOPOLY neighborhood as you progress through fun, familiar properties with each win. 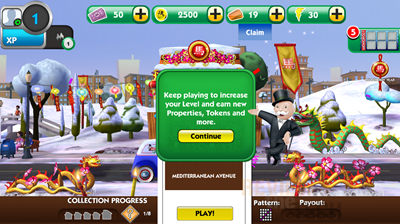 Watch your favorite properties come to life! 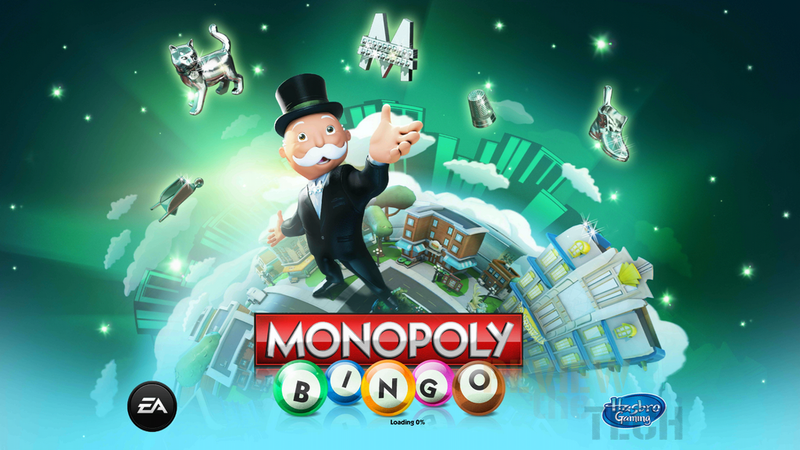 Play up to 16 cards at a time on your iPad (8 cards on your iPhone), and get lost in the rich graphics and exclusive game modes you can only get with MONOPOLY Bingo. 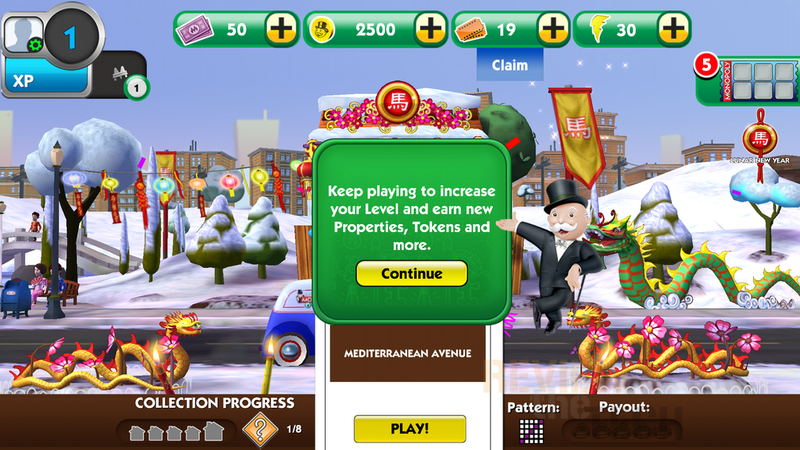 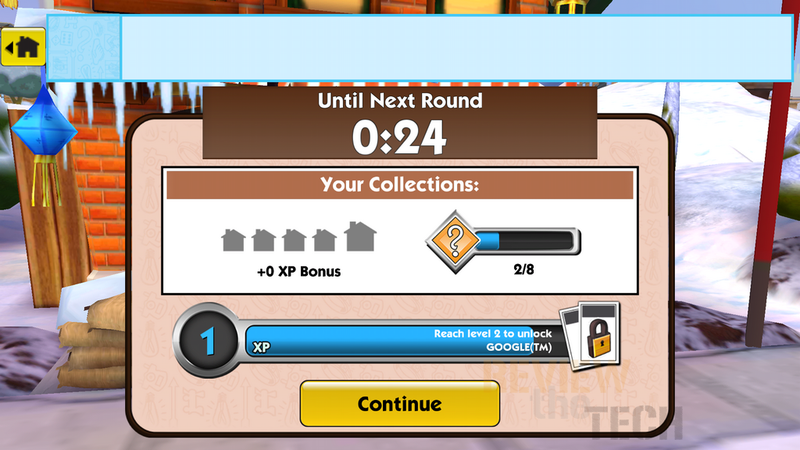 Collect favorite MONOPOLY properties, tokens, and upgrades (like houses and hotels) and own it all! 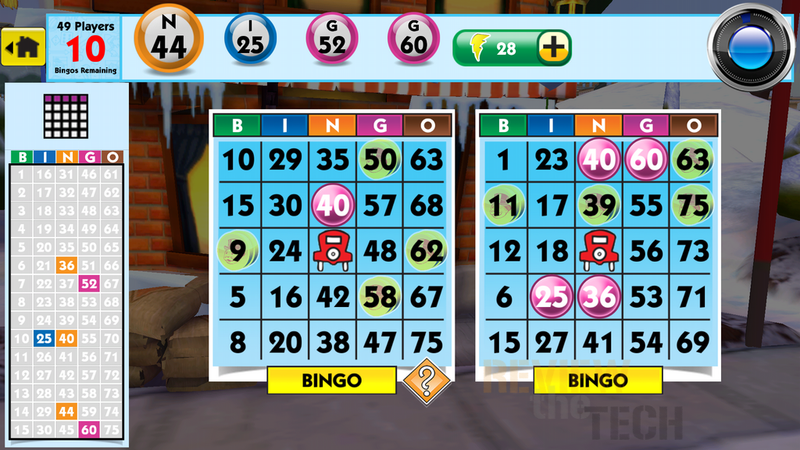 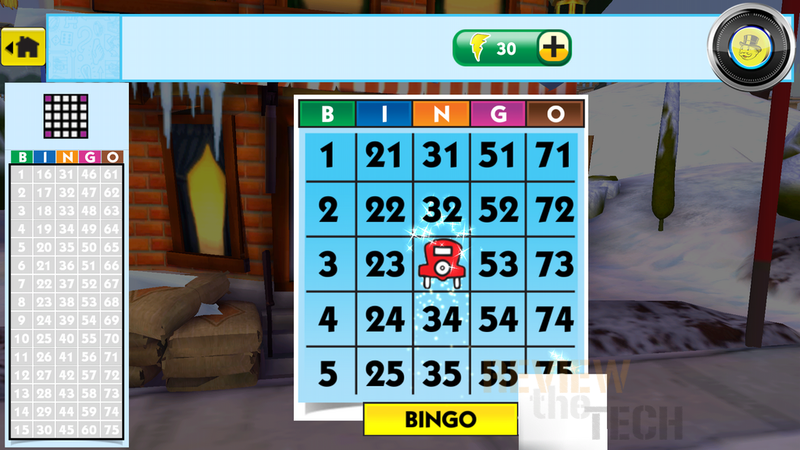 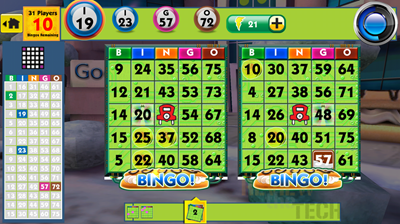 Play mini games like Chance scratcher cards, or choose your lucky number with each game and “GO” for a bonus. 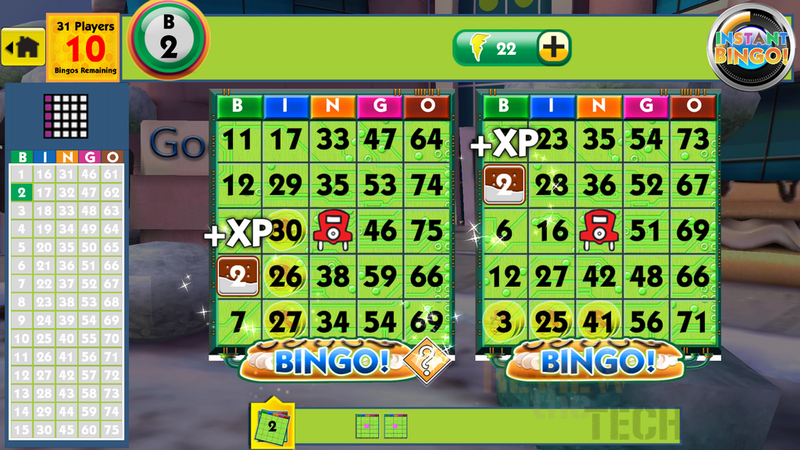 MONOPOLY Bingo is bingo at its richest! Open up the app and you’re greeted with the title screen which looks nice. 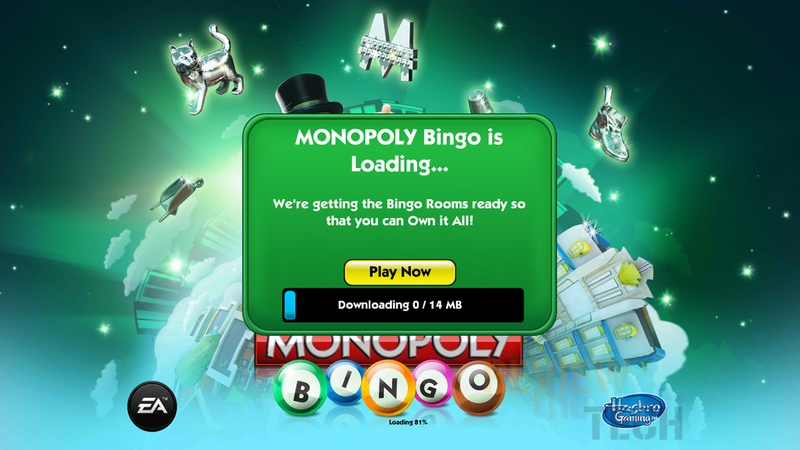 Then it had to download more stuff which took a minute or so. 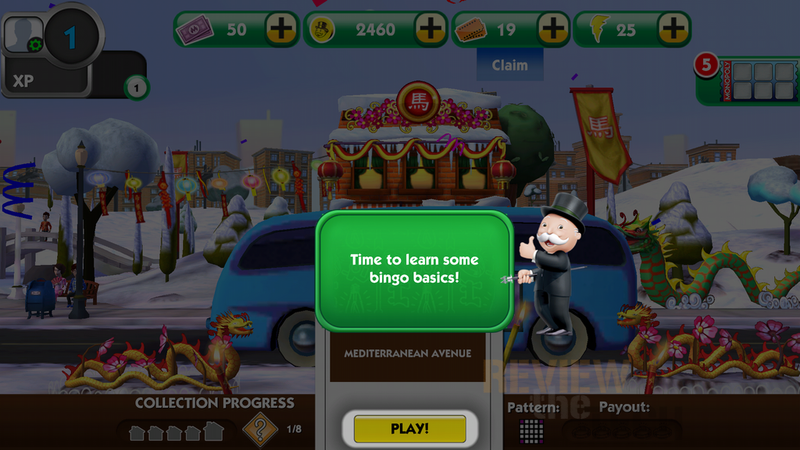 There is a basic tutorial when you start playing. 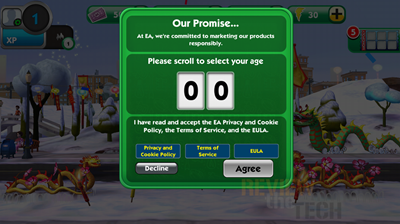 Once I was passed the tutorial I got this screen asking for my age which I thought was odd, but whatever. Apparently everyday there is a a daily bonus where you can get some good stuff for free. 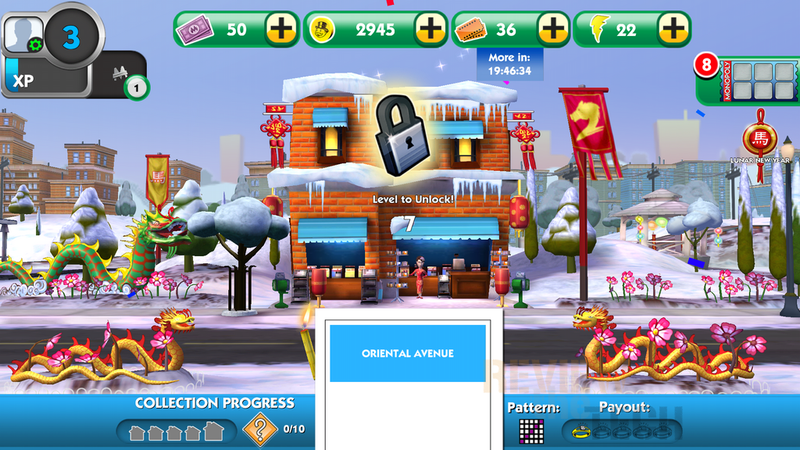 Once you complete the tutorial you can play some more or you can explore the land and I have to admit I really like the graphics, they’re very nice and everything looks great. 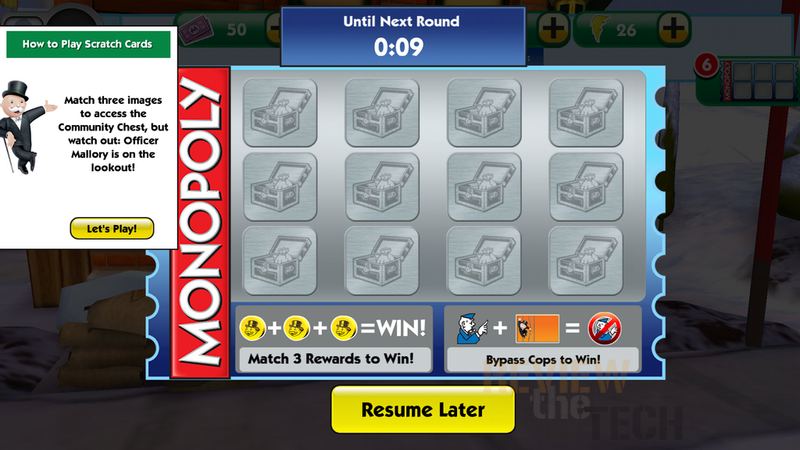 When you’re ready to play just pick a property. 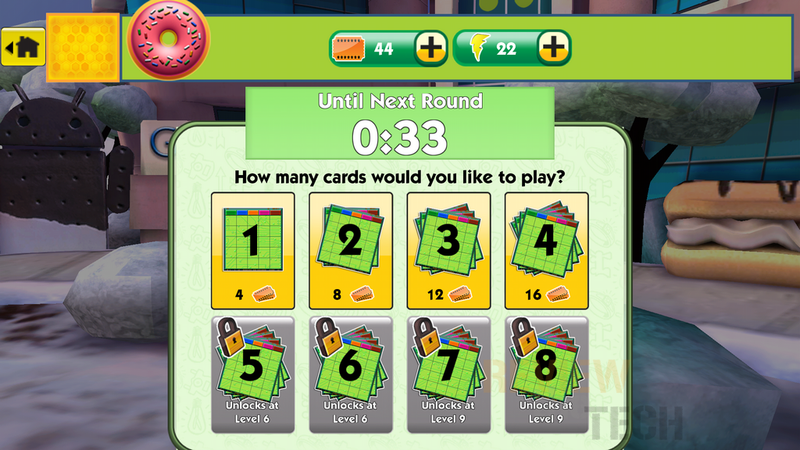 When you first start out you’ll only be able to play one card at a time. One the screen you can also choose whether to use auto daub or not which let’s the program mark your cards for you, which I kind of think takes the fun out of the game. 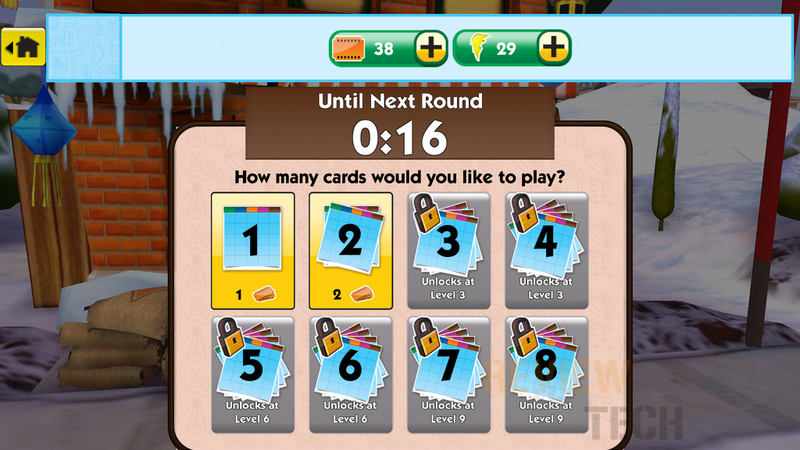 There’s always a countdown to the next game and the time varies between them and to pass the time you can play a scratch card for a bonus. 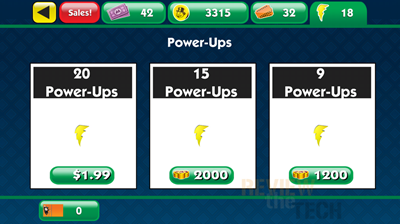 While you’re waiting you can also spend some real money and buy power ups and other things. 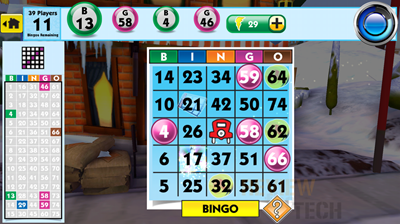 The scratch cards are just what they sound like, you scratch to match and you can win things like coins or extra tickets. 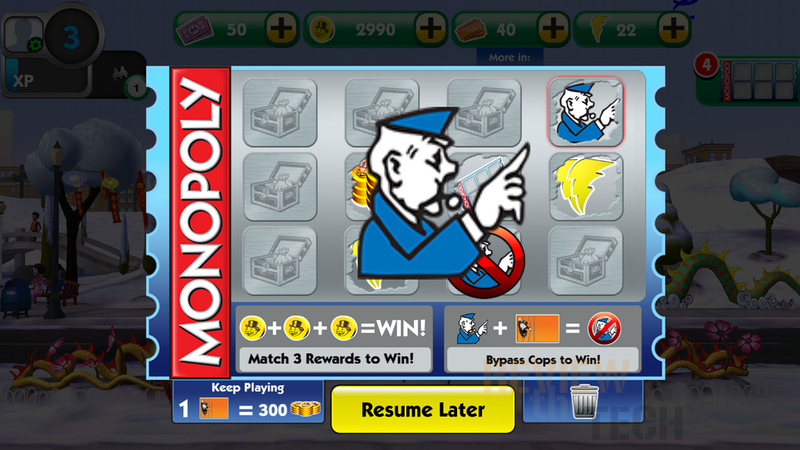 You can also lose tickets by getting arrested and sent to jail unless of course you have a get out of jail free card. 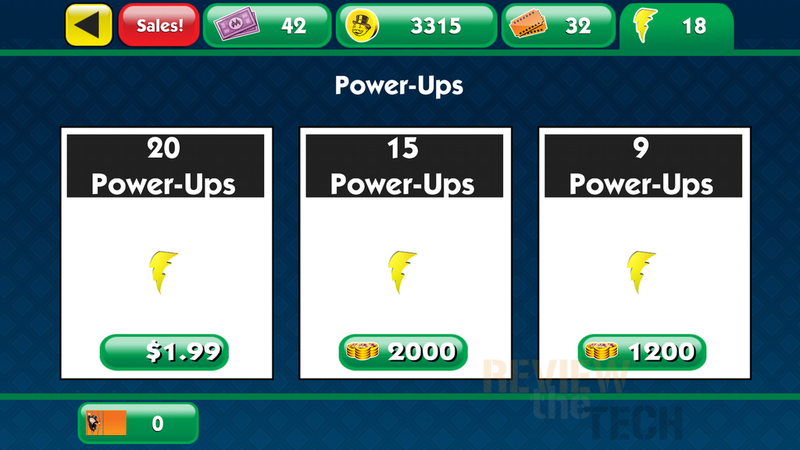 The store is where you can buy more coins and power ups to play the game or more tickets and it can get expensive with the highest costing $100 is real world money. 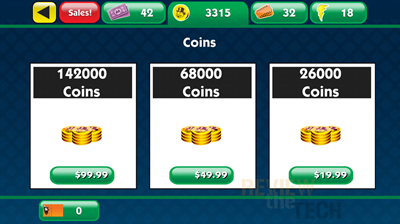 You can also use the coins you win in game to buy some things. 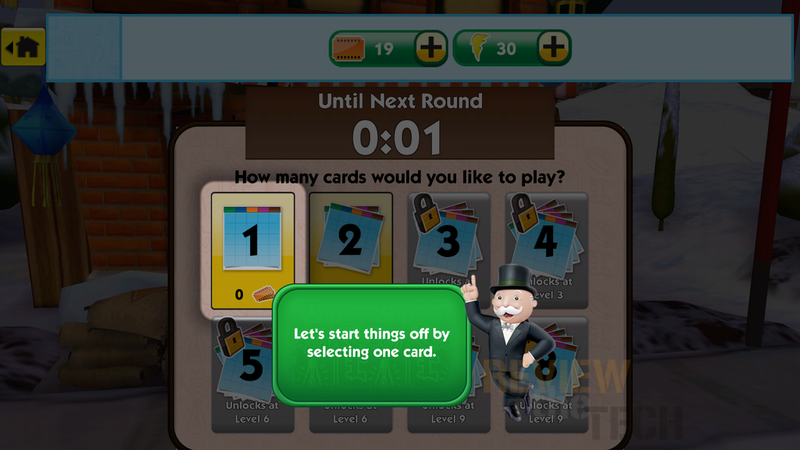 Playing the game is rather boring, numbers are called and appear at the top and you touch the screen to mark them on your card. 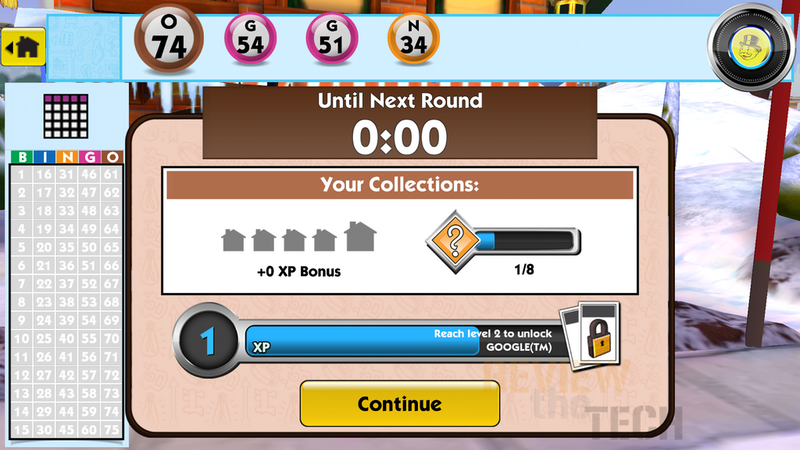 There are bonus spots like O-62 below with coins on it, if that number is called you’ll get some bonus coins. 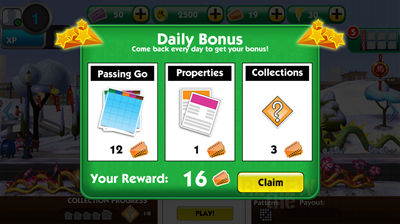 There are other bonuses as well like getting free tickets. 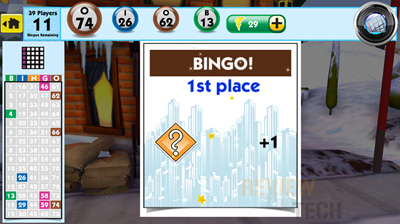 When you win, if you place high you’ll get bonus things like more tickets and coins. 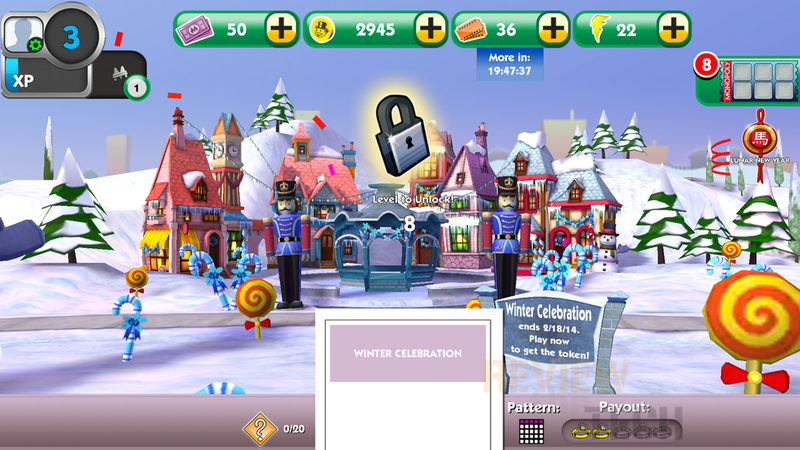 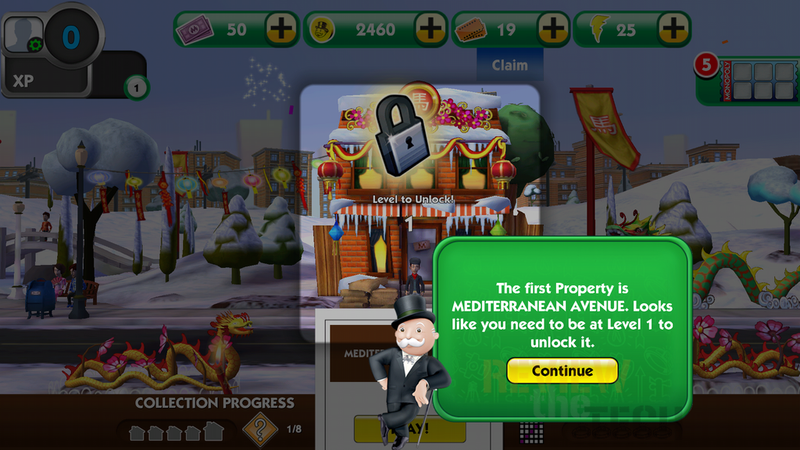 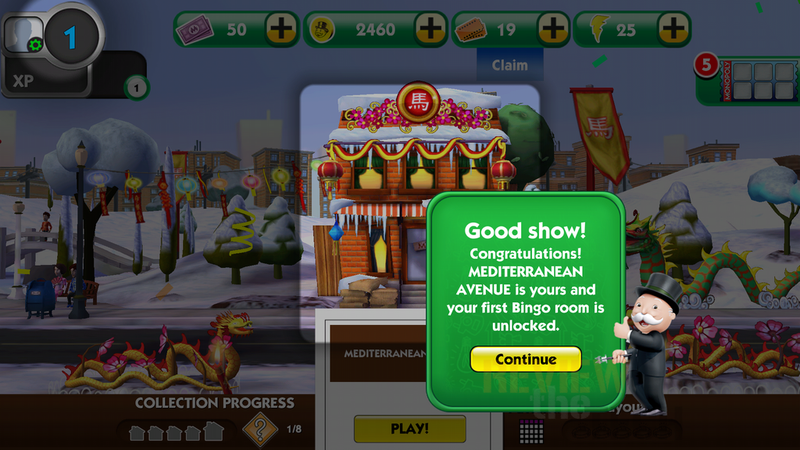 As you play you get experience points to let you level up to open access or unlock other properties. 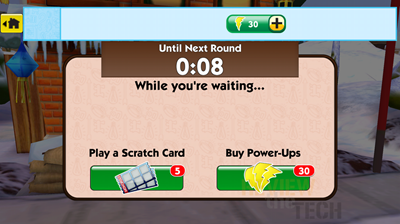 Here’s some screen captures of paying with two cards, it’s the same as playing with one. 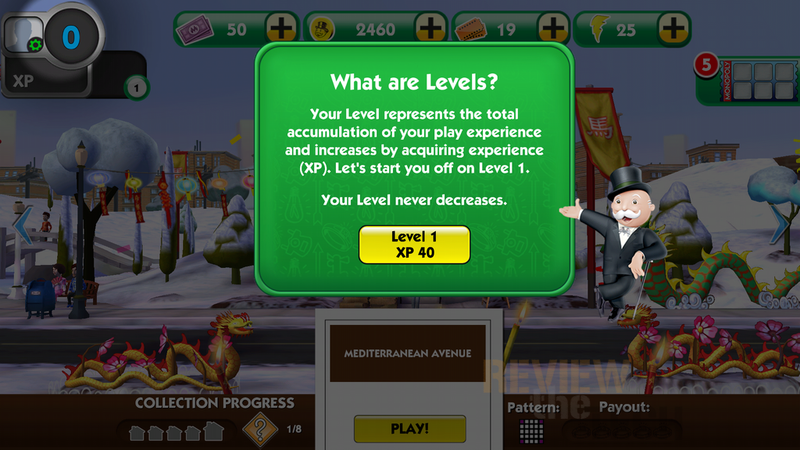 As you progress you can play with even more cards, you’ll need to gain levels to get more cards. 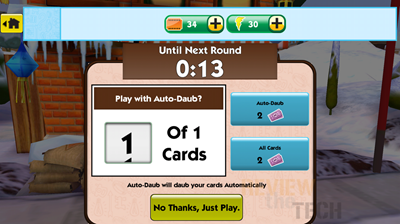 When you play more than two card you’ll have to slide between them as only two show per screen. Here it gets harder to play as timing is everything. 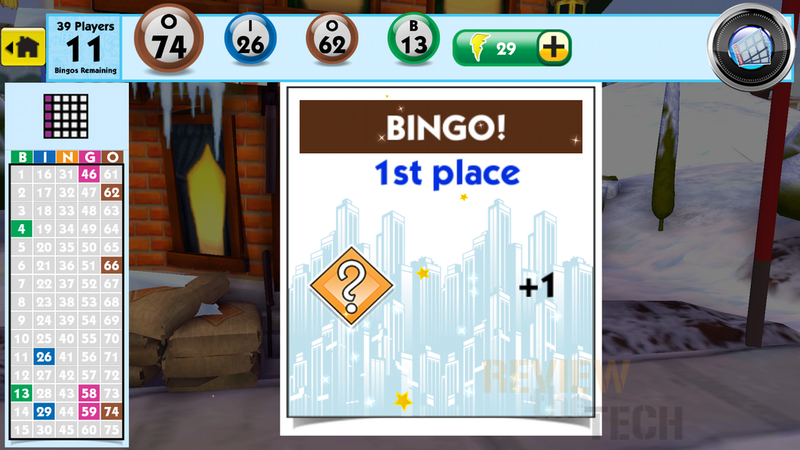 You’re playing against other people so you need be fast and get your bingo before someone else does, the higher you rank the more of a bonus you get. 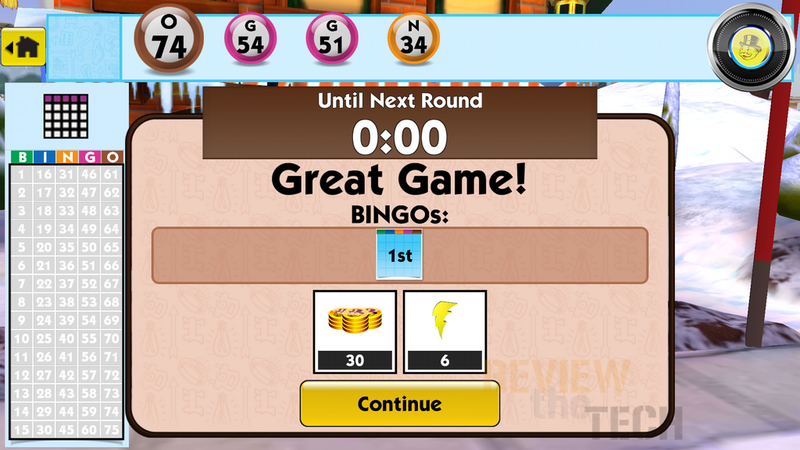 It’s a boring game, very boring honestly, I don’t know how people sit and play it. 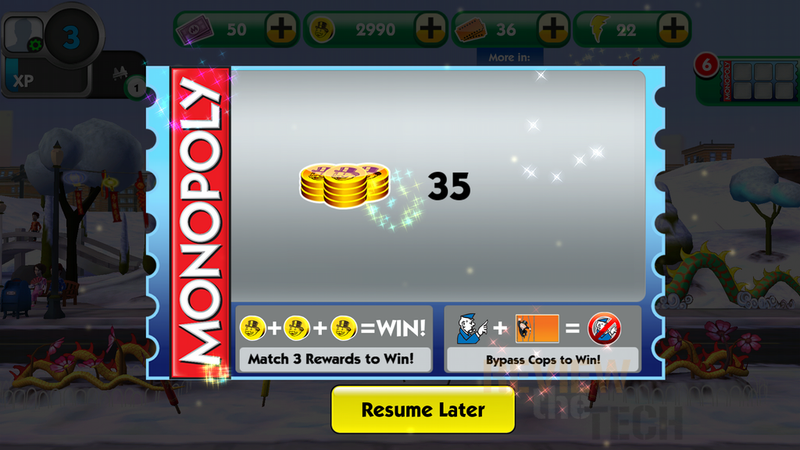 You’re not winning anything but you can spend real money. 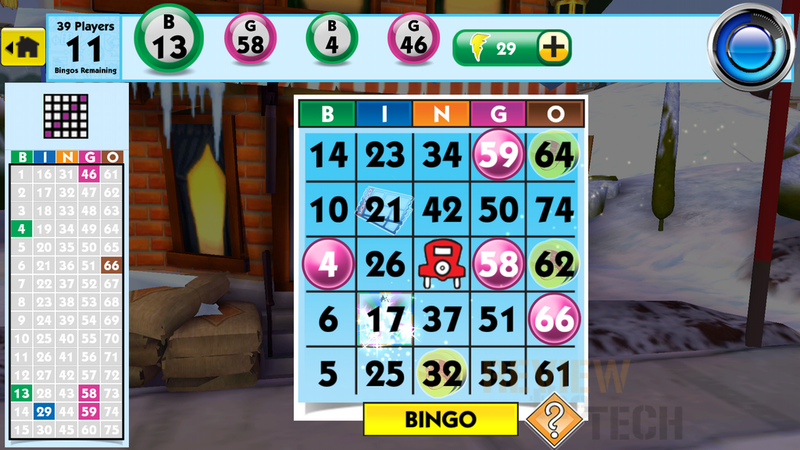 If you want to gamble then go to a real casino as you have a slim chance to win something at least instead of just playing and spending money and not really winning anything. There are other options online for chances to win money that are legal and some of them do offer mobile options for you. 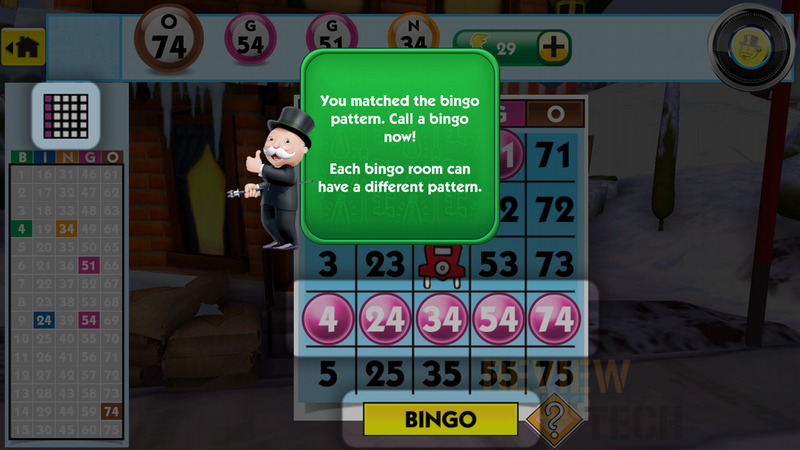 I’m not one for gambling anymore, but I know a lot of people do enjoy it in moderation, so if you’re going to gamble then try and actually win something. 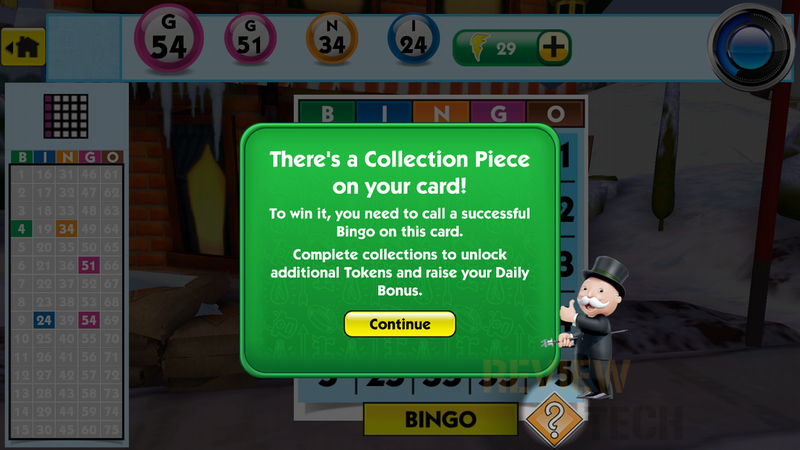 Games like this Monopoly Bingo I guess can be fun, but ultimately maybe just take up your time and money. I’ll be honest here, I found this game to just be so boring, but I guess that’s just me. 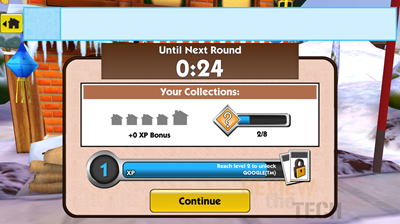 I like to play games for a while before I review them and I think I played this one for close to an hour and I just couldn’t play it anymore as I was so bored. 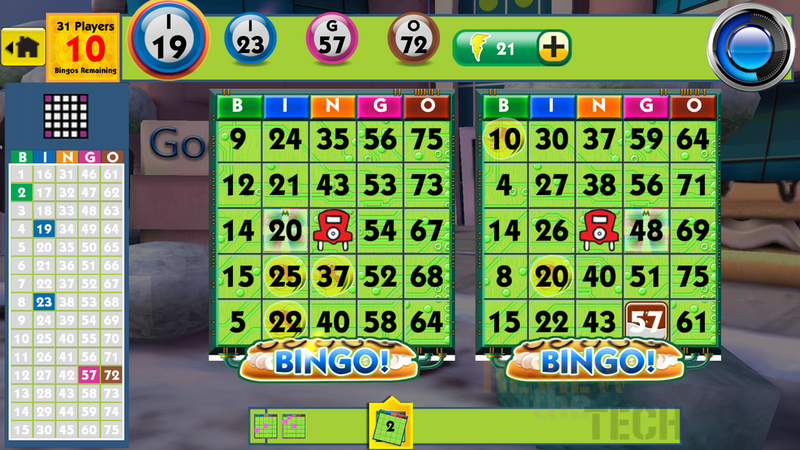 The game can even be played sort of automatically with the auto daub feature as it just marks the numbers for you and you just watch. 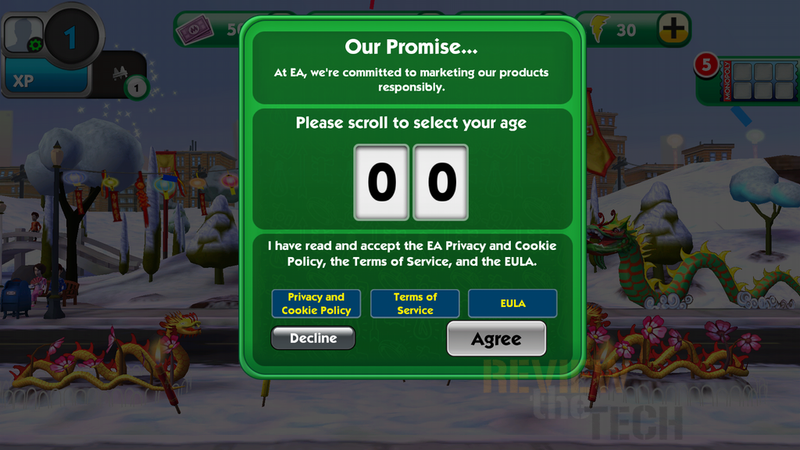 I guess that can be a good thing, but on the other hand it takes the actual play out of the game. 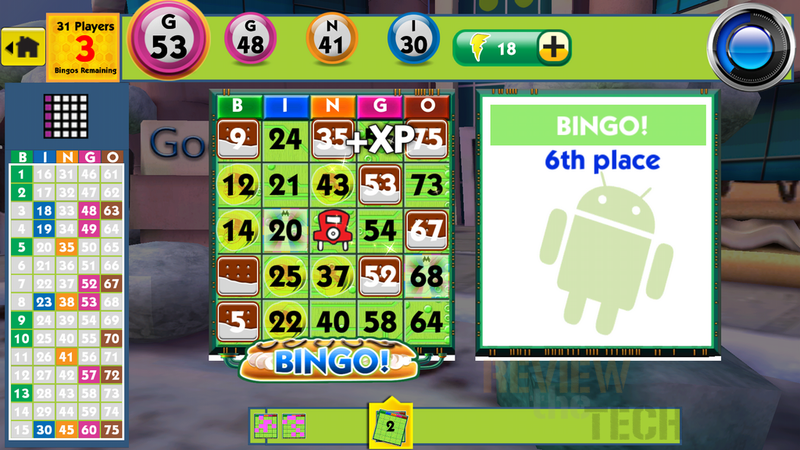 I can’t find anything exciting about Bingo no matter how you theme it or repackage it and dress it up. 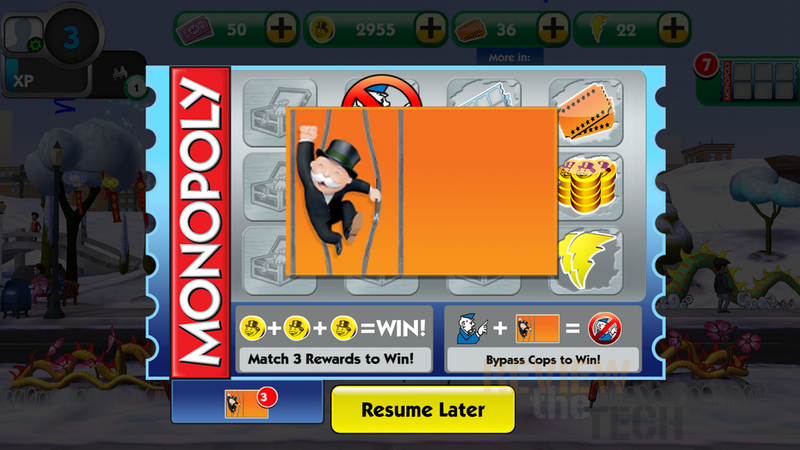 I played the Monopoly Slots game and that’s boring but no as bad as Monopoly Bingo. 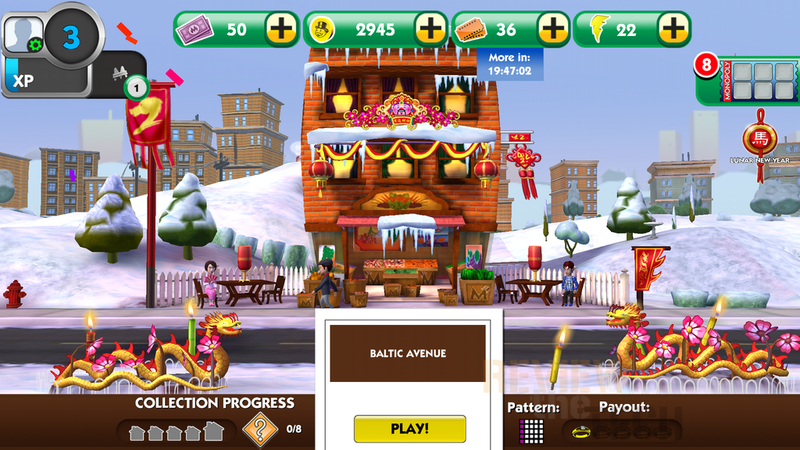 The music is good and the graphics are very nice. 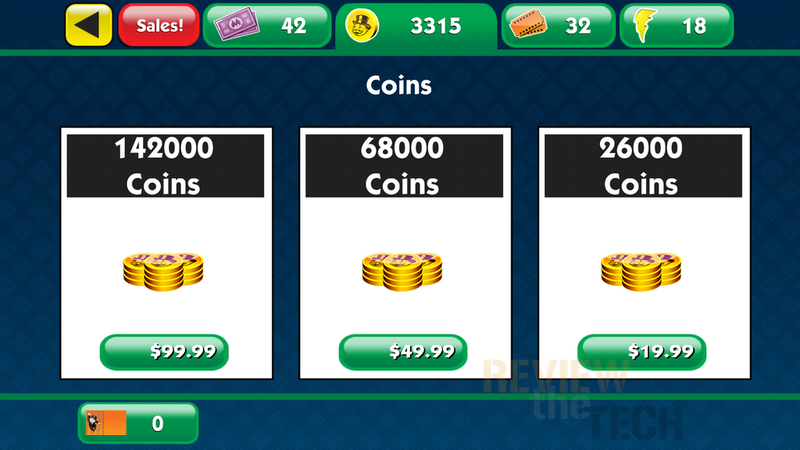 Mini-games are interesting sure but limited from what I’ve seen. 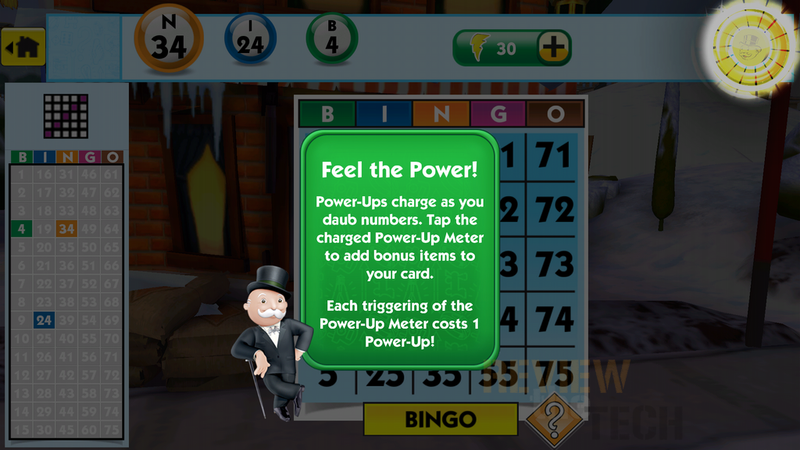 Monopoly Bingo is a freemium game where it’s yes but if you really play it you’ll end up spending real world money and you can spend a lot of it.